Searching for a new sushi bar to check out in Raleigh's Warehouse District? O-Ku Raleigh has opened at 411 W. Hargett St. as part of The Dillon mixed-use complex. O-Ku offers Japanese fare with a Southern twist, according to the eatery's website. Look for the Hurricane roll with eel, lobster and salmon with a sweet soy glaze and a wasabi remoulade, or the Katana with barbecued wagyu beef and soft shell crab with spicy aioli. With a five-star rating out of six reviews on Yelp so far, O-Ku has received a solid early response. 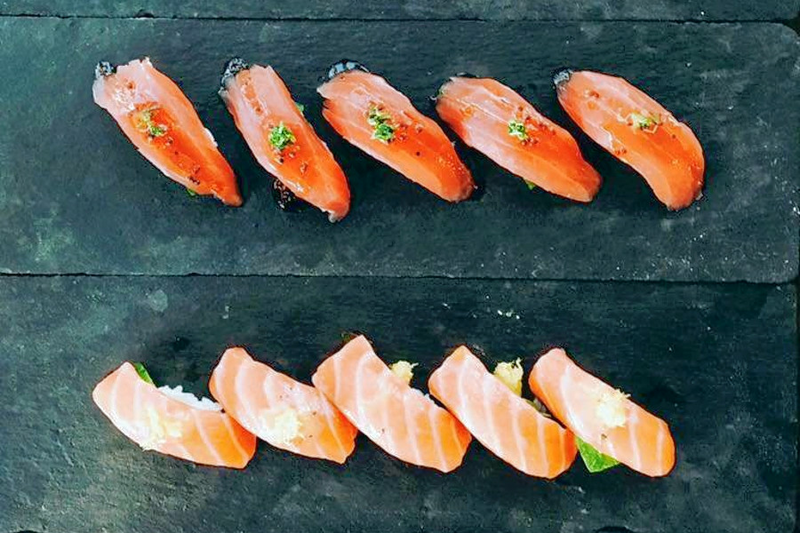 Mikkel M., who was among the first Yelpers to review the new spot on Oct. 15, wrote, "We loved our visit at O-Ku! Its food is phenomenal." Yelper Kiara I. added, "O-Ku is seriously the best place I've eaten at in a long time. The A-5 is a piece of salmon with rice underneath and barbecue sauce on top. It was phenomenal and packed with so much flavor." Head on over to check it out. O-Ku Raleigh is open from 5-10 p.m., Sunday through Thursday, and 5-11 p.m. on Friday and Saturday.